Bead Soup bracelet. This one has 14 strands! Clasp is a beaded bead made by yours truly. Colors, gemstones and number of strands is totally up to you! Beaded beads I create for clasps. 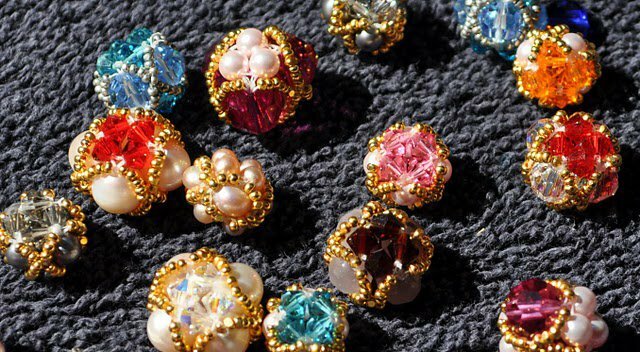 As you can see, I can use just about anything to create these stunning beaded beads! Brand new! This is a nine-strand necklace featuring a mix of 11/0 seed beads, pearls, and a generous mixture of gemstones and Swarovski® beads. 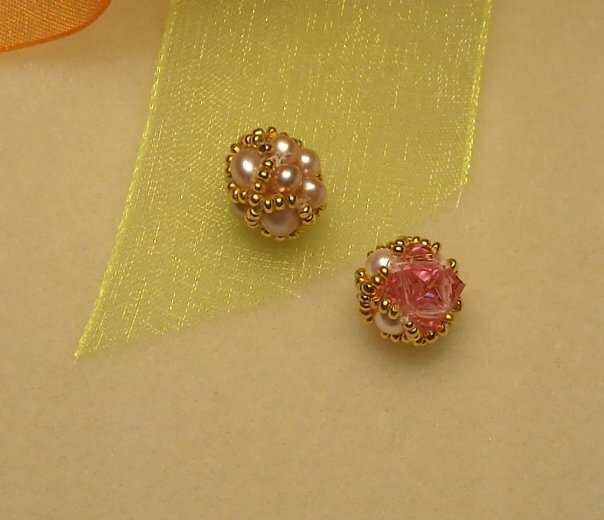 I can incorporate any seed bead color combination you wish along with coordinated gemstones, glass and Swarovski® beads. The clasp is made from an 8mm bead that is easily slid through a ring of beads. Easy on, easy off! The feel of these necklaces is amazing against the skin. Longer lengths will drape luxuriously and make a gentle sound that you never tire of. 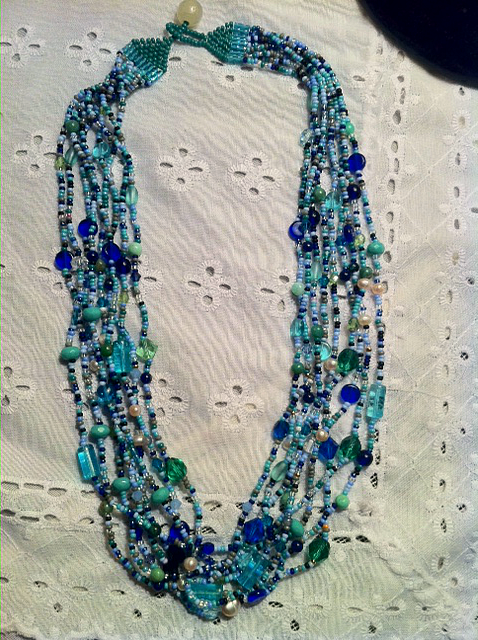 Any questions are welcomed as this necklace can be made in any length. Prices start at $20.00. I am working on using sterling silver cones with lobster-claw clasp for the next set. Again, just let me know what your ideas are and I can help you design a great and very personal piece custom made especially for YOU!